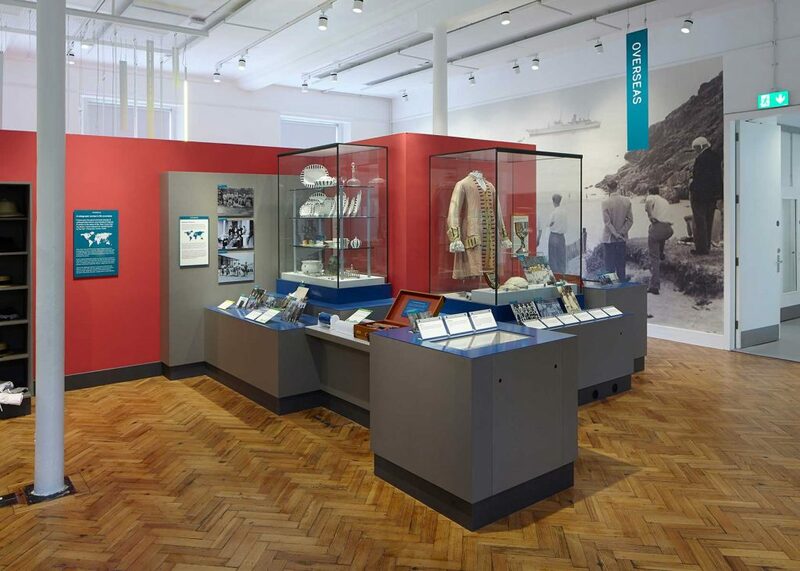 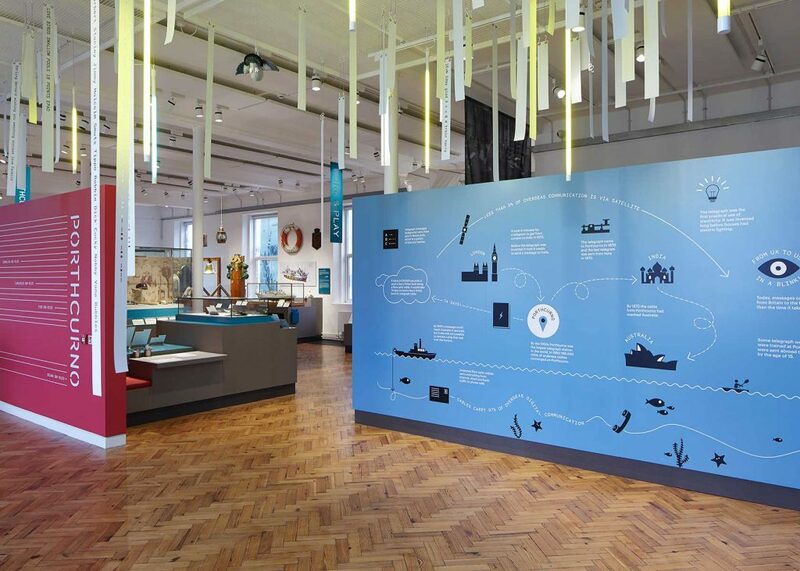 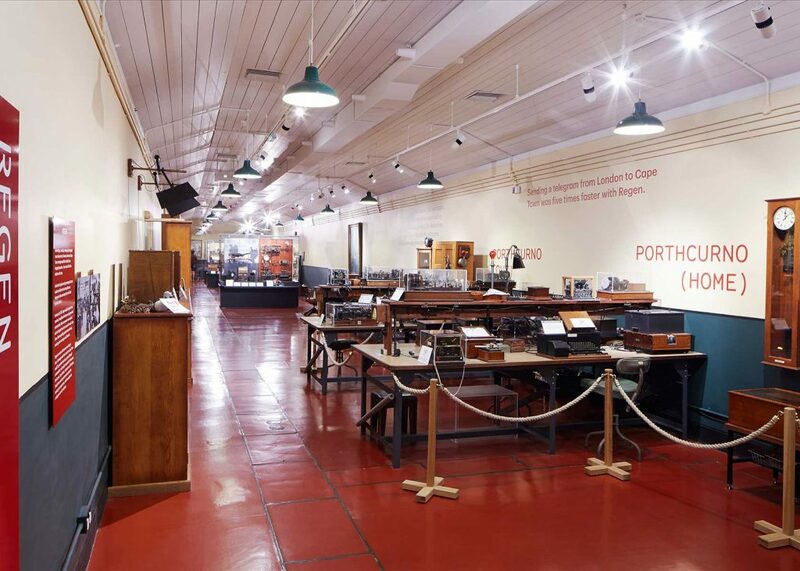 Our design for the exhibition within the Eastern House Galleries at the Porthcurno Telegraph Museum takes inspiration from the unique location of the museum and the history of the surrounding area. 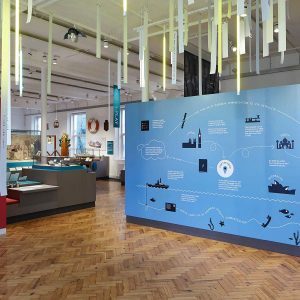 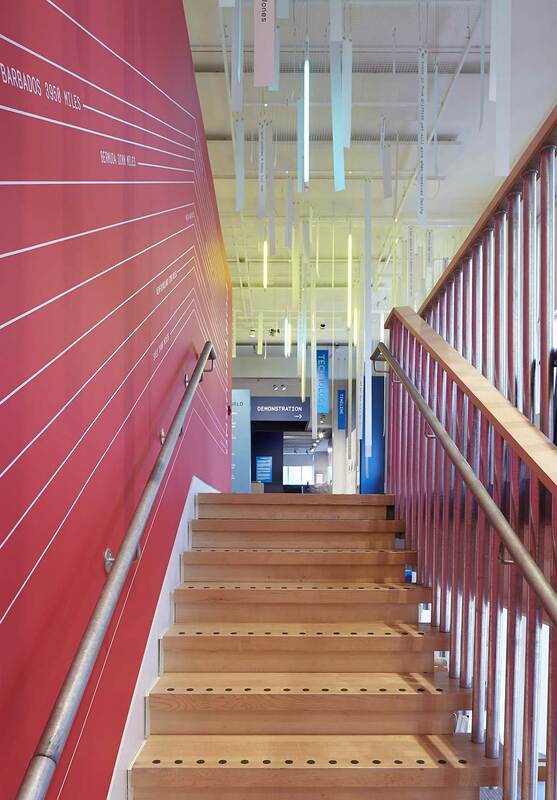 A dynamic design language, carried holistically through content display and graphic wayfinding, informs, orientates and immerses visitors in the fascinating objects and their stories, while remaining sensitive to the listed buildings of the Museum. 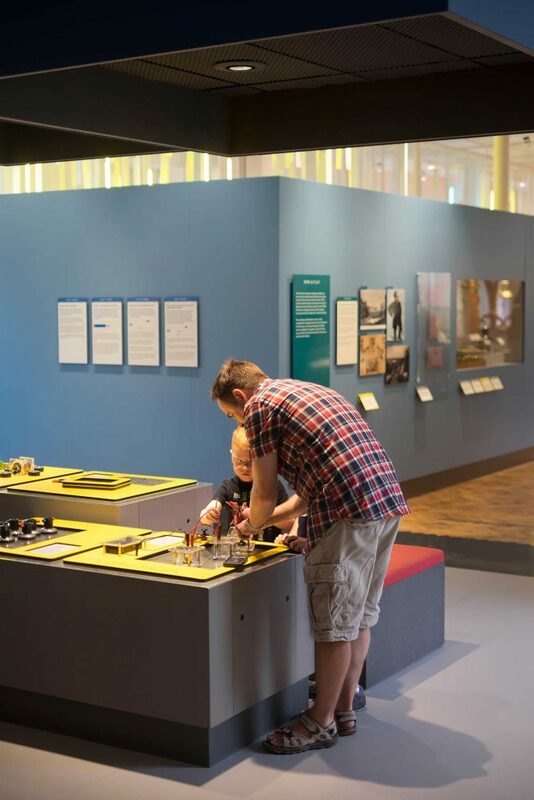 The setting of the museum is of particular significance, the valley chosen strategically for defense and for its proximity to the territories of the empire. 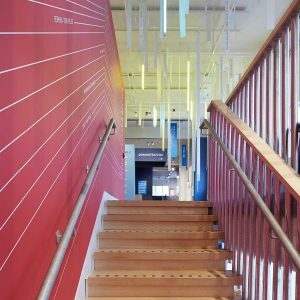 Consequently the palette of the exhibition was inspired by the colours of the surrounding landscape, the tonal range seen across the graphics and display further inspired by the Cornish School who so famously painted it. 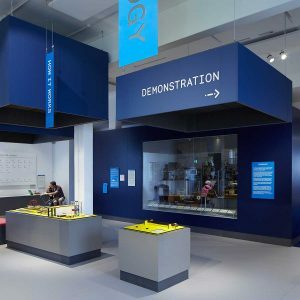 Interlocking plinths and partitions, zoned in eye-catching colours, introduce clarity, with different narrative threads displayed at different heights and on different planes to create subliminal separation and integral zoning. 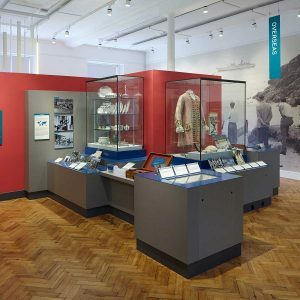 Treasured objects are presented ‘in the round’ in a landscape of cases with supporting image and interpretation displays so the visitor can lose themselves easily in different eras, locations and voices. 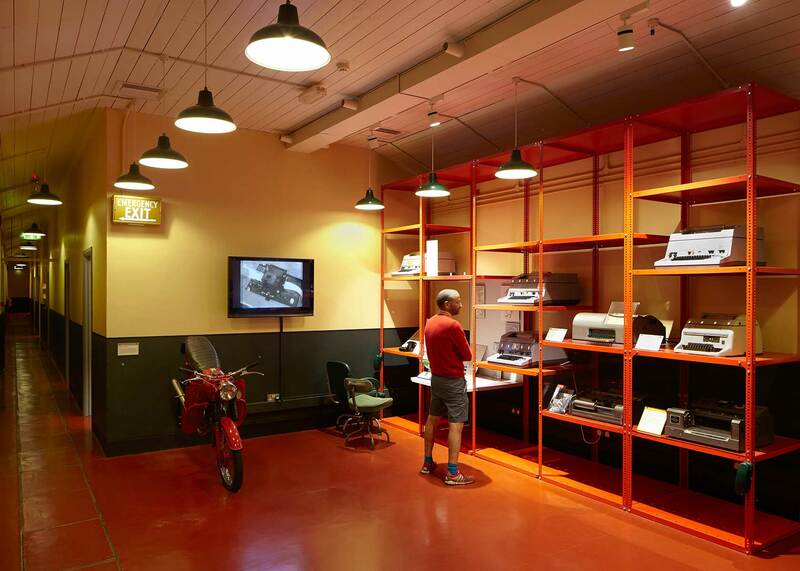 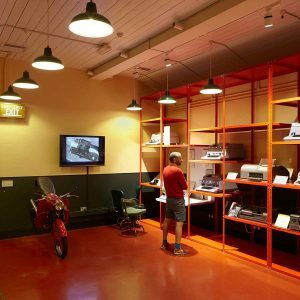 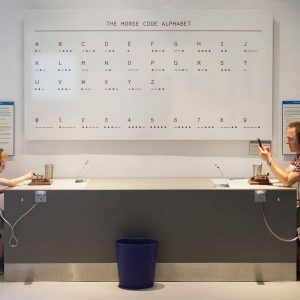 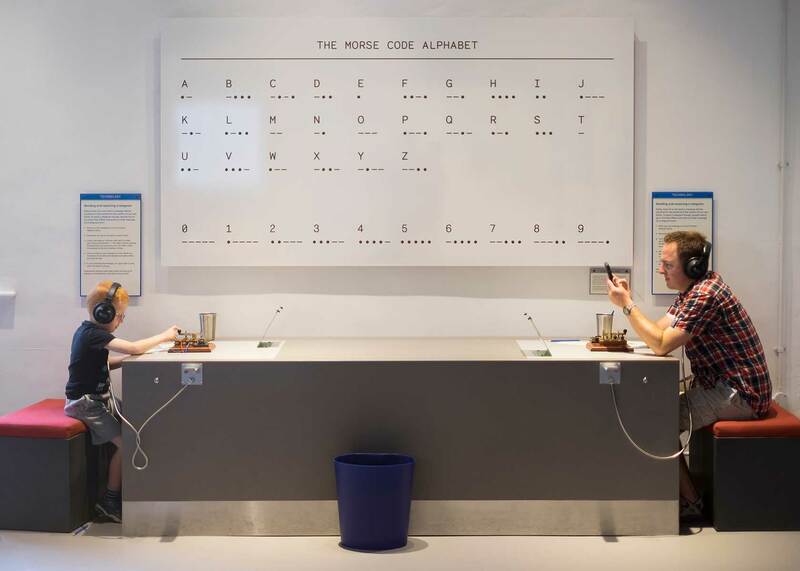 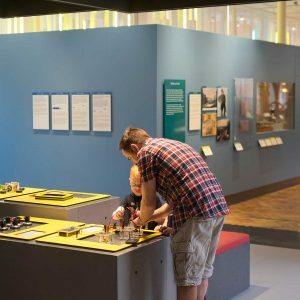 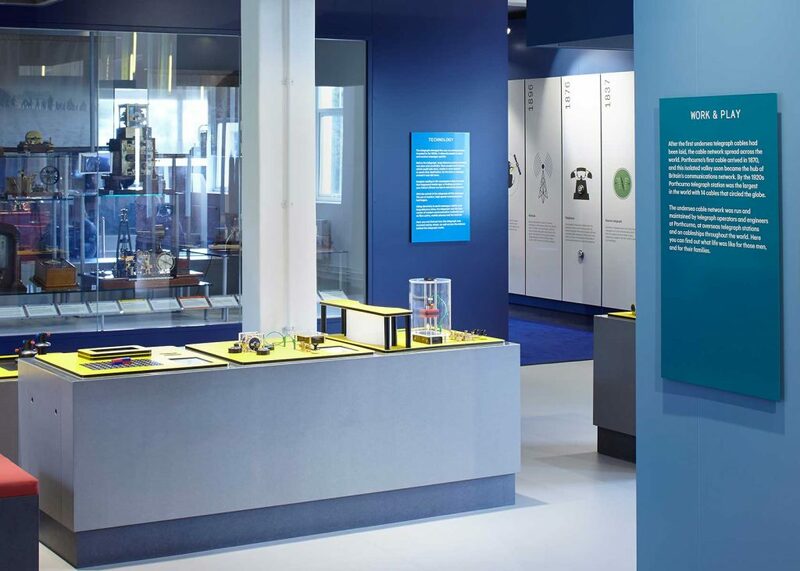 Visitors are encouraged to physically engage through simple mechanical interactives – handles which turn, gears and levers toggling on-off to animate the displays – so they personally bring to life the historical progression of communications technology. 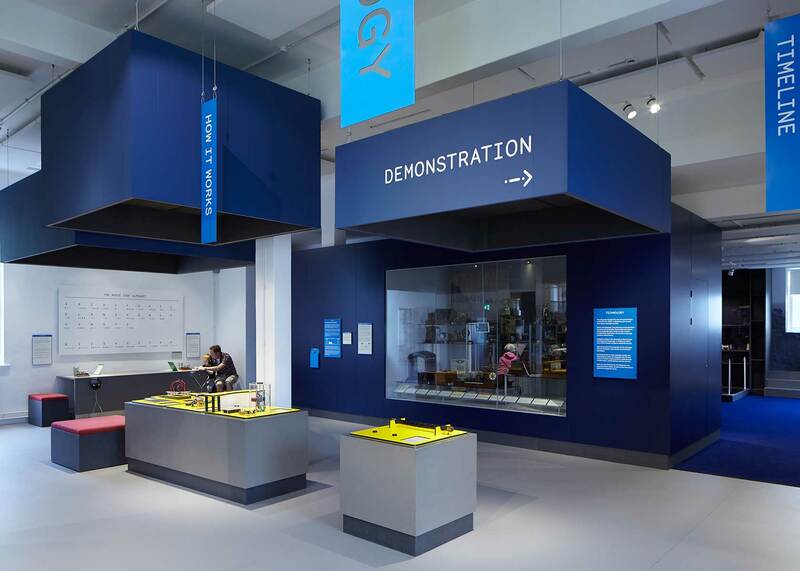 Highly informed physical demonstrations further energise key equipment in the collection, taking place against the backdrop of a pigeon holed display wall full of thematically linked objects that can be illuminated by the volunteer at any time – adding depth and clarity to the explanation. 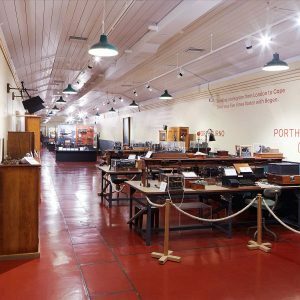 An animated model, activated through simple buttons that play atmospheric sounds, takes visitors back to Porthcurno at a series of key moments in its history. 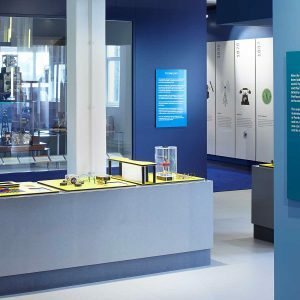 For more personal insights visitors can lift a handset and hear first-hand accounts from those who lived in the area at the time.